In 2013, the Aquetong Watershed Association (AWA) established a Malcolm P. Crooks (MPC) Honorary Scholarship to encourage and help support deserving and gifted high school students who plan to continue their formal education in the physical sciences. The AWA scholarship is granted annually to a deserving civic-minded New Hope–Solebury High School senior who has displayed excellence in science and who plans to continue his/her formal education at an accredited college or university. The AWA scholarship honors Malcolm’s many outstanding contributions, regionally and nationally, which have fostered a greater public appreciation for conservation and the value in protecting the environment. Malcolm is a Solebury Township native, a lifelong conservationist, and the founder of many conservation-oriented nonprofit organizations, including the AWA. Malcolm has been actively involved with conservation since the 1940s and continues today to be a strong voice for protecting our environment in many nonprofit organizations and municipal committees. His work in our community will forever serve as an excellent example of how one individual can make a lasting impact. In 2017, the AWA created a separate restricted Malcolm P. Crooks Scholarship fund to enable the scholarship program to forever serve as a way for our community to honor of Malcolm’s many environmental contributions and benefit our high school students. To learn more about the AWA and its scholarship program, please contact us at 267-714-8170 or info@aquetongwatershed.org. If you want to contribute to AWA’s Malcolm Crooks Scholarship grant fund, please send your tax deductible donation to the Aquetong Watershed Association, P.O. Box 504, New Hope, PA 18938, or send us your donation through PayPal by clicking the Donate button below. Ms. Claudia Koeppen has been awarded the Malcolm P. Crooks Honorary Scholarship from the Aquetong Watershed Association. 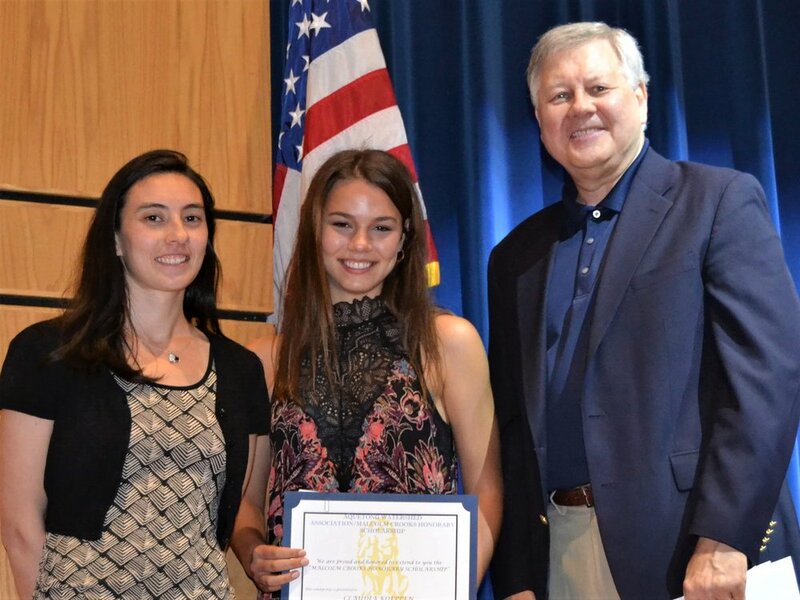 On hand to present the award at New Hope-Solebury High School's June 13th Senior Award Ceremony was AWA's President, Les Isbrandt and Secretary, Jade Greene. Claudia was selected to receive the annual AWA Scholarship award on the basis of her scholastic and community achievements. In the fall, Claudia will attend Duke University and plans to major in Chemistry. Claudia has excelled in every AP Science course offered at NH-S High School. 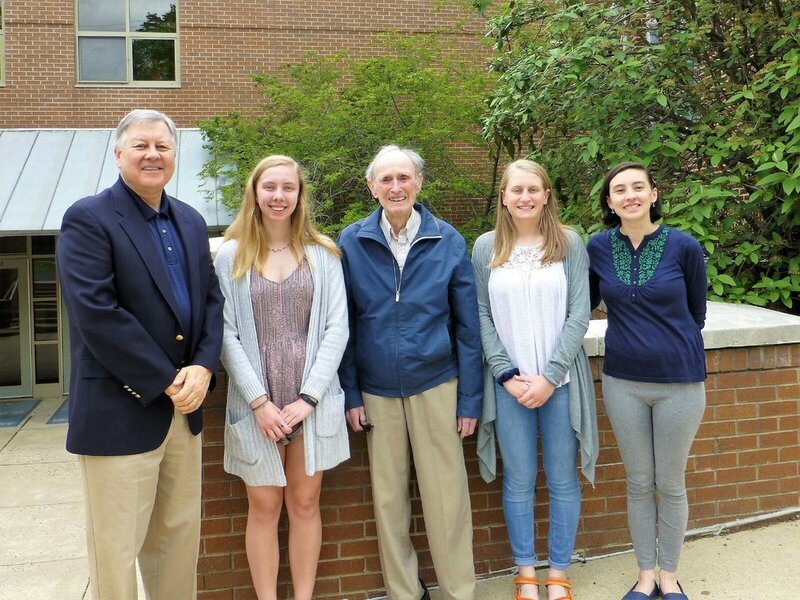 In 2017 the Malcolm Crooks Honorary Scholarship was awarded to TWO Solebury High School Seniors, Shaelyn Parker and Hannah Reszka. Shaelyn and Hannah were selected to receive the annual AWA Scholarship award on the basis of their scholastic and community achievements. 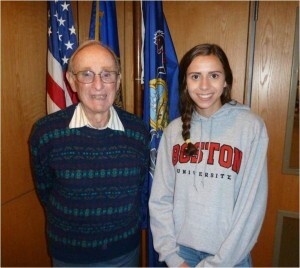 On May 21, New Hope-Solebury High School senior, Katherine Kowalchick, received the 2015 Malcolm Crooks Honorary Scholarship from the Aquetong Watershed Association. On hand to present the award was AWA Director and President, Les Isbrandt and AWA Director and Secretary, Jade Greene. 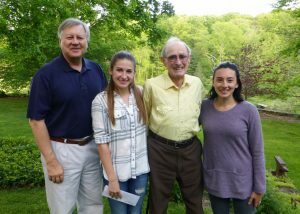 On May 27, 2014 New Hope-Solebury High School senior, Allison Russo, received the first Malcolm Crooks Honorary Scholarship from the Aquetong Watershed Association. On hand to present the award was AWA Director and Treasurer Les Isbrandt. “Allison Russo was selected to receive the first annual AWA Scholarship award on the basis of both her scholastic and community achievements. In addition, Allison represents exactly the type of student the AWA wishes to honor in its Malcolm Crooks Scholarship program,” said Isbrandt, chair of AWA’s Selection Committee. In the fall, Allison will attend Boston University and plans to major in physical science with emphasis on neuroscience."